With over 40 Holiday Festivals and Events in Denver that listed in this year’s guide, it’s time to expand into the rest of Colorado, and let you know about the 10 best Colorado winter holiday festivals! Revel in the holiday glow at Loveland’s Winter Wonderlights, a new holiday lighting attraction at Chapungu Sculpture Park. Enjoy holiday lights, illuminated African stone sculptures and a nightly light and music show featuring a 20’ LED Christmas Tree. 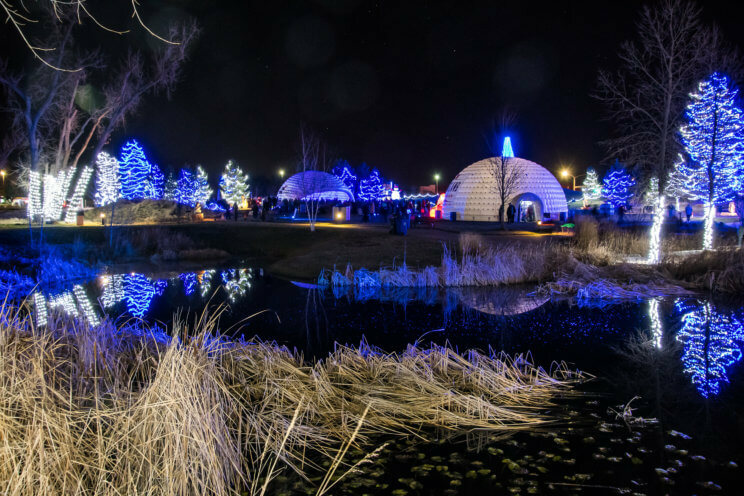 Special programming, Colorado’s largest inflatable igloo and local vendors are available during the weekends. 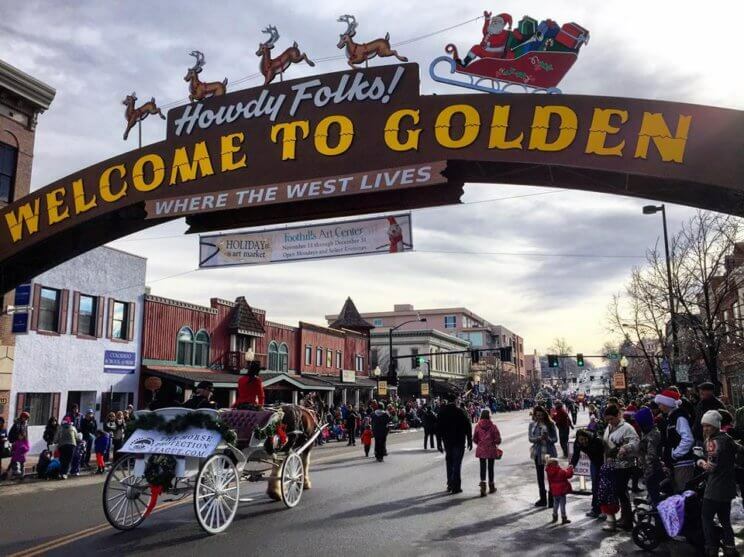 Enjoy Golden‘s Holiday Parades this season at Historic Downtown Golden! Watch Santa zoom around in his sidecar motorcycle, heckle the Grinch as he drives by in his corvette, or cheer on elves as they race on unicycles during the weekly parade. Victorian carolers and snappy barbershop quartets serenade the crowds as Mr. & Ms. Claus hand out sweet treats to little ones. Children cheer as cowboys ride by, parents ooh and ahh the Newfoundland dogs as they pull their carts, and Elvis Presley wishes everyone a Merry Christmas. It’s the perfect free family-friendly holiday tradition. There is something magical about the season in Vail during the holidays. 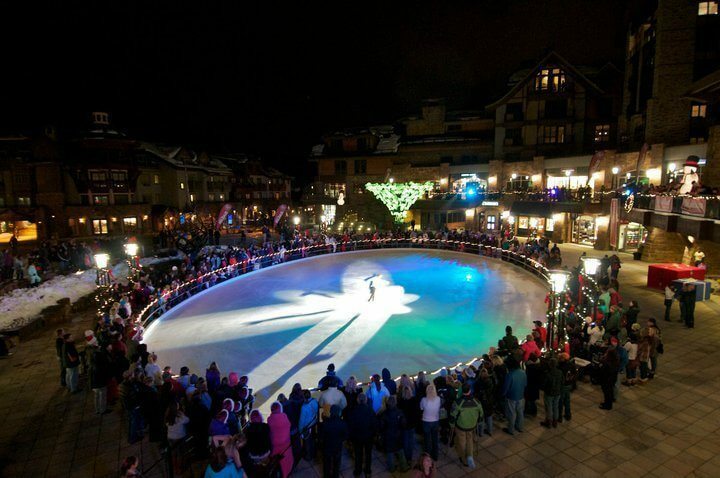 Vail Holidays takes Vail’s already iconic setting and adds family activities, such as skating, and many outdoor events. Enjoy events such as the Kris Kringle Market, tree lighting activities, workshops, Torchlight Parade and more! 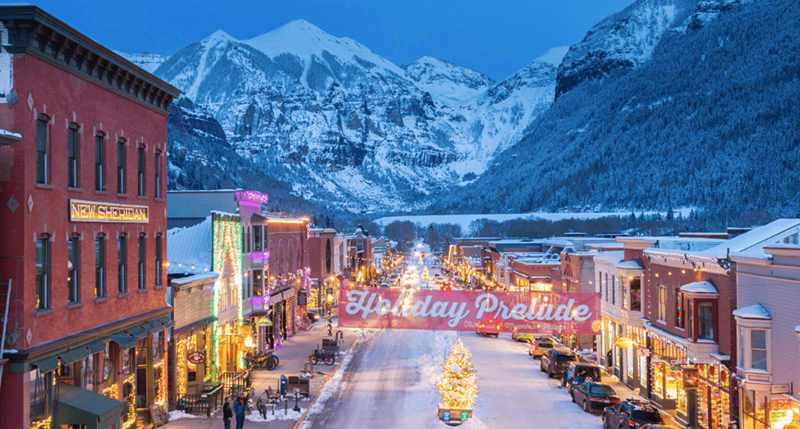 The Holiday Prelude, located in Telluride, is a great way to get into the holiday spirit. It features a line-up of festive events for the whole family. This year promises a whole weekend of holiday movies, train rides, photos with Santa, live reindeer, ice skating, and children’s holiday surprises around every corner. Children and adults can expect many surprises on the train ride throughout the twinkling Mountain Village as the Telluride Conference Center is transformed into Santa’s Workshop. The Rock on Ice festival at Crested Butte Mountain Resort is an ice carving festival in celebration of the holiday season. Be amazed as two of the world’s most renowned carvers create larger than life sized sculptures of animals, holiday characters and other iconic figures out of blocks of ice. 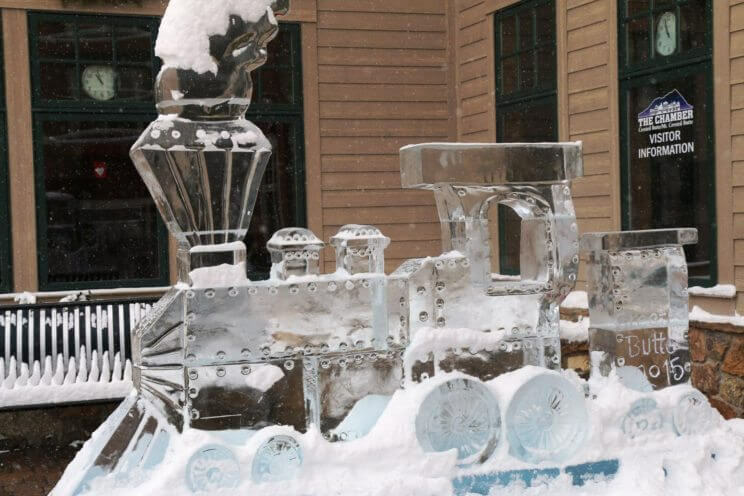 The event will feature daily ice carving demonstrations, including interactive sculptures perfect for family photos and a dazzling ice sculpture garden in the Courtyard at Mountaineer Square. The Christmas Eve Torchlight Parade is one of the most beloved Winter Park traditions. The event begins with Christmas carols around the bonfire at the base of Winter Park Resort, and continues with a procession of torch-bearing skiers and riders begin their way down Lower Hughes trail, followed by Santa Claus and his merry helpers. 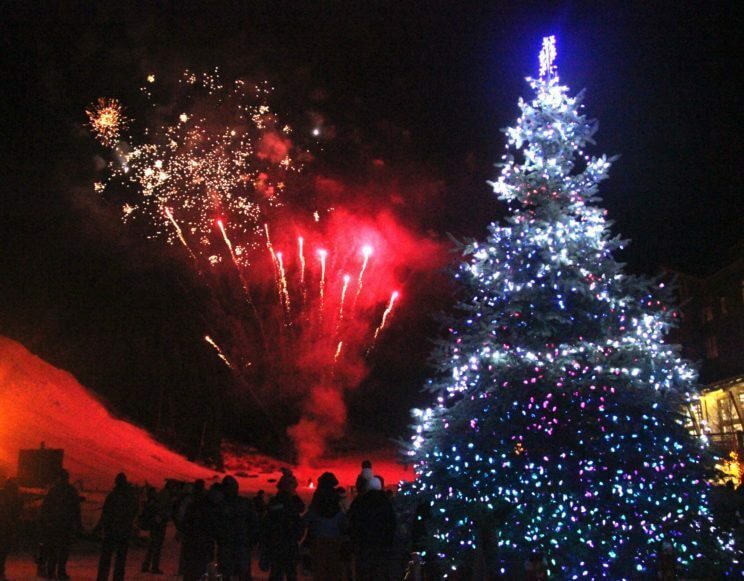 A spectacular fireworks display and snowcats adorned with Christmas colors light up the slopes in a Christmas tree formation to conclude the festivities. Immediately following the show, visitors are welcome to attend Christmas Eve interdenominational services located in the lower level of the Balcony House. On Christmas Eve, Copper Mountain Resort will dazzle with yet another visit from Santa himself, along with a children’s Glowstick Pageant and a Torchlight Parade down Main Vein. Before you head home to set out the milk and cookies for jolly St. Nick, enjoy a festive fireworks display over the mountain. Psst… Torchlight parades were also featured in our 8 Things to do in Colorado this Winter guide! 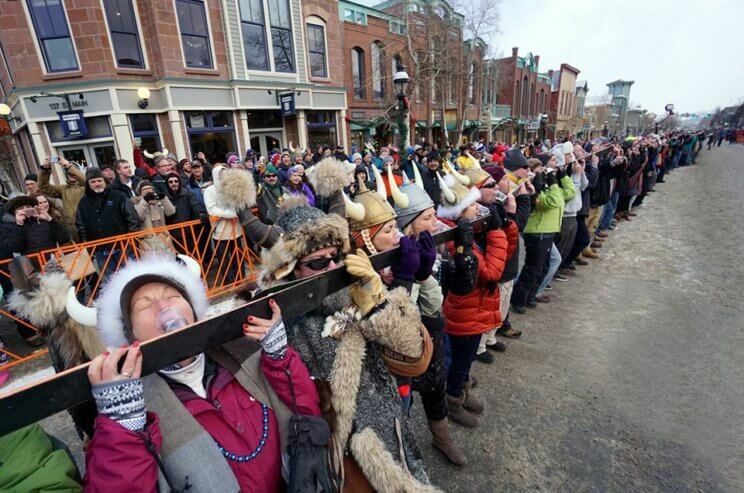 The Town of Breckenridge will host the 56th Annual Ullr Fest, a tribute to Ullr, the Norse God of Snow, a three-day snow celebration including Ullympics, Dating Game, parade, music, ice skating party and more. 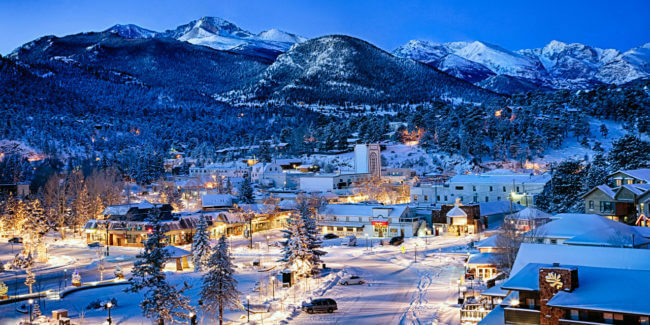 Celebrate the winter season in Estes Park at the Estes Park Winter Festival weekend! Taste award-winning chili (while supplies last), sip a variety of beers, browse retail vendors, enjoy live entertainment and more at the Estes Park Winter Festival, Martin Luther King, Jr. Weekend 2019 at the new Estes Park Events Center! This celebration includes a variety of events that embrace Steamboat’s western heritage and highlight our tradition of winter sports. This unique event includes everything from kids pulled on skis behind horses down a snow-covered main street, to the Lighted Man at the Night Show Extravaganza who’s battery-powered suit weighs 70 pounds.